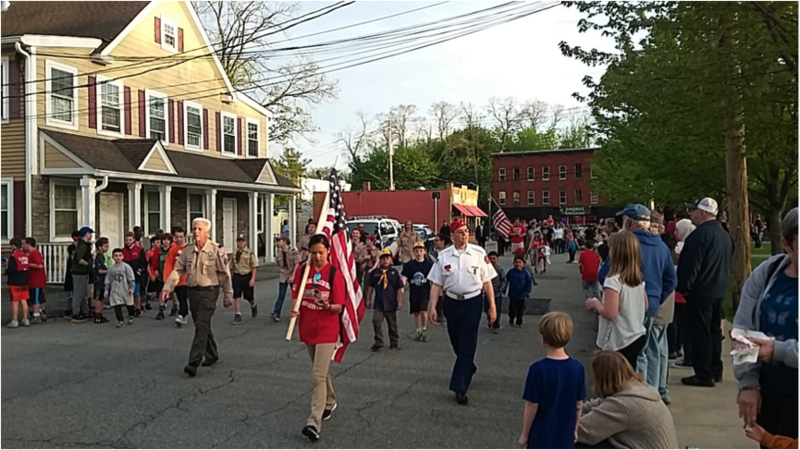 CONGERS– The “Carry The Load” relay march stopped at Congers Station Park Monday evening to honor our veterans and celebrate the true meaning of Memorial Day. Hundreds of Rockland residents were in attendance to support our county, our country and our nation’s heroes. Carry The Load’s purpose is to help Americans understand the real reason we celebrate Memorial Day. It is not just a day off where we have barbeques, drink and have fun; it is a day to honor those who sacrificed their lives for our freedom. Carry The Load asks people to form teams and join the relay that started at Fenway Park in Boston on April 30 and then make stops at various locations on route to its final stop in Dallas, Texas. 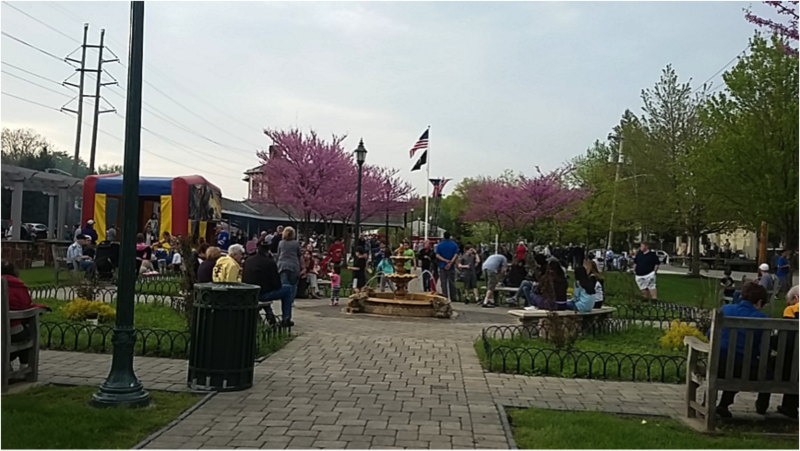 People who volunteered Monday met in the park and walked one mile around Congers. The people there who didn’t walk enjoyed live music and a barbeque, while their kids jumped in the bounce house. When the mile ended, a ceremony was had in which Clarkstown Town Supervisor George Hoehmann and founder of Carry The Load, Stephen Holley spoke about how much they appreciated everyone’s support. “I will tell you here in the hamlet of Congers, the town of Clarkstown and Rockland County overall you set the bar extremely high and you have made this organization very very proud,” Holley exclaimed. When the speeches ended, the Clarkstown Central School District awarded Jocelyn Weber with $1,500 for winning theWhat Does Memorial Day Mean To You? essay contest. After that, there was a laying of a Memorial Wreath and a 21 gun salute which marked the ending of the ceremony. The relay will continue Tuesday, headed for the 9/11 memorial in New York City, then to Metuchen, NJ and Yardley, PA on Wednesday. Carry The Load is in its seventh year and Congers has hosted as a stop the past three.